Born Together is the inspiring memoir of Patricia Gachagan, who was diagnosed with Multiple Sclerosis, and her determination to overcome the challenges to live a full life and to be a mother to her son, Elliot. When Patricia became pregnant with Elliot, she could not contain her joy and elation at the prospect of starting a family. But within hours of his birth, her body began to deteriorate. 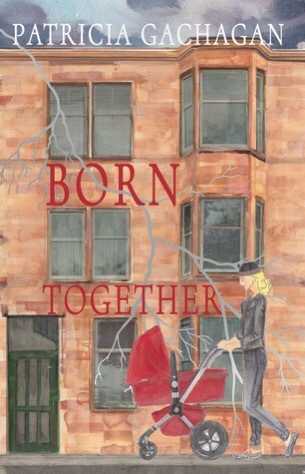 Born Together tells of Patricia’s struggle to cope with her declining health and the simultaneous demands of motherhood. Eventually, Patricia was diagnosed with MS, and it was put to her that her immune system had attacked itself, in error, following the birth of her baby boy. Patricia took an alternative approach to almost everything and refused to settle for a prognosis of a life of disability and vulnerability. Many doubted her ability to succeed, but her determination to turn her life around was rewarded with a new and pioneering treatment, researched by Medical Research Scotland and part-funded by the Scottish Government Enterprise Scheme. Born Together by Patricia Gachagan is an inspiration to all. Her journey of determination and strength will amaze everyone who reads this book. It amazed me. Hooked me in fast. A mother’s terrible yet frightening journey of survival. After giving birth, her body was suddenly taken over by a paralyse. Her health kept turning for the worse. I kept thinking that she wasn’t going to make it. That this was going to be the saddest book I’ve read. But Patricia Gachagan held surprises from me. She kept moving forward despite her challenges. Every time I feel like complaining, I’ll always remember this book and consider myself lucky. Overall, I recommend this nonfiction book to readers worldwide. Especially, to mothers out there.